I do two forms of energy healing. I am a Certified Emotion Code (CECP) and Body Code Practitioner (CBCP). The Body Code, deals with balancing the body in all aspects of health - including emotional (more about that below), energetic, nutritional, structural, hormones and toxicity. The technique is not meant to replace any medical treatment, but by correcting any underlying imbalances, we help the body's innate self-healing ability to take over. As a result, pain and malfunction in the body often disappear, all the organs function as they should, nutrients are absorbed properly, energy levels are raised, and emotional issues become manageable or nonexistent. More about emotions: Throughout our lifetime, emotions (in the form of energy) get trapped in various parts of our bodies, causing illness, pain, disease, and other similar anomalies. As we release that stagnant energy (or detox), we begin to identify the root cause of disease and dissolve difficulties and begin to experience freedom from aches and pains, stiffness, and inflammation, just to name a few. We think with more clarity; we feel more empowered; we feel much better about ourselves and ultimately we have more energy. Recent scientific studies have surfaced on how emotions sabotage everything from simple success to kidney failure. The physical body falls apart because we emotionally fall apart. When we don't care for the whole self, the physical body simply mirrors those effects. 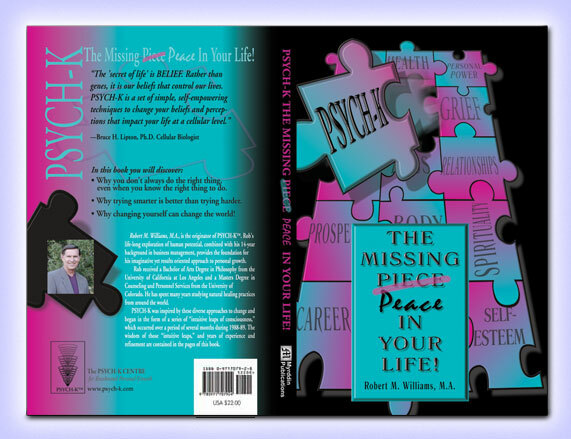 Over the course of a lifetime, emotions like fear, hopelessness, anger and confusion take their toll on the body. Repressed anger diminishes the activities of the liver, causing it to harden. Hopelessness and despair plays havoc with the gall bladder. Long-standing negative emotional beliefs deteriorate the entire physical body. For true, and long lasting healing to take effect we must look at all the systems: emotional, mental and physical and from a holistic approach the spiritual. 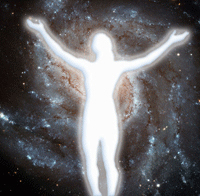 It is the spiritual body that actually does the healing, once we have strengthened the physical body and changed and released any old limiting emotional issues. Strengthening the physical body is the key to healing the other bodies. Mental patterns, like worry, also weaken the body, and a constant string of looping words (I'm never going to get better, I'm always sick, I'm sick again, etc.) that exhaust the physical body. Wellness of the entire being through holistic health is a whole body approach. This method is also apparent in Chinese Medicine, Ayurvedic and many other alternative therapies. Through the use of Applied Kinesiology or muscle testing (see me showing you how to do it in the picture on the right), I can tap into your subconscious mind, find the trapped emotions and release them. If you're not familiar with muscle testing, please read my post on my blog dated January 5, 2011. 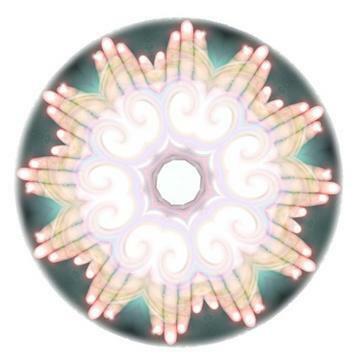 This allows the energy to flow more freely and helps your body to begin to heal itself. Please don't forget about the children and your pets (dogs, cats, horses), they have trapped emotions and imbalances, as well. "First of all, we have seen all kinds of problems helped with the Emotion Code and the Body Code. Remember that the underlying cause of all disease is imbalance; the most common underlying imbalance that drives all symptoms is trapped emotions. The Body Code allows us to fill in the blanks by giving us a very simple way to ask the subconscious mind what other underlying imbalances there may be, whether they are from pathogens, nutritional deficiencies, toxicity, structural imbalances, circuitry imbalances (such as chakras or acupuncture meridians) and so on. We always like to emphasize that the Emotion Code and the Body Code are never to be used to treat disease; instead, they are used to remove the underlying causes of disease, allowing the body to heal itself. This may seem like a fine distinction, but it is important to point out. We allow the medical community to treat diseases. We just remove imbalances." I am also an Advanced PSYCH-K Facilitator. Do you feel like you are going through life with one foot on the excelerator and one foot on the brake? That is a battle between your conscious and subconscious minds. Through the use of muscle testing I can find your limiting beliefs (foot on the brake), change them to empowering beliefs and release that brake. What a relief it is to finally be able to move forward without getting stopped! It's pretty amazing, you walk thru the door with a limiting belief and walk out the door with a belief that empowers you. Does that mean you're instantly a changed person, not exactly. It means there is no more battle between your conscious and subconscious minds because you have changed your belief. Your part going forward is to act on that belief, knowing that it is true. For instance, take someone that has self-esteem issues. They normally don't believe that they're worthy (limiting belief). With the help of PSYCH-K, they now believe they are worthy (empowering belief). Things will quickly start happening that will prove to them that they indeed are worthy and their whole life will change because of it. It may be a little difficult to understand right now, but once you've experienced it, it will become very clear to you. 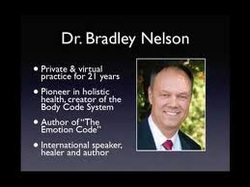 According to Dr. Bradley Nelson, the doctor that developed the method, The Body Code is the most sophisticated and complete method of body balancing that has ever been devised - anything that is wrong in the body is able to be identified and corrected. If you would like to experience the work before you decide to go forward, I will clear up one trapped emotion and one imbalance. This work is done over the telephone. My goal is for you to receive the best possible results. With that in mind, I recommend starting with at least 4 sessions. The first part of the first session is used to do an evaluation. It is used as a measuring stick for both of us so we can see the progress you are making. I do work on a sliding scale. If you want my help and money is a concern, please call me and we'll see what we can work out. I don't want anyone turned away because they don't think they can afford it. There are many ways to muscle test someone, this is probably the more familiar one. PSYCH-K (psychological kinesiology) was originated in 1988 by Robert M. Williams, M.A. It was a response to the frustration that came with the realization that typical counseling techniques, which rely almost exclusively on "insight" and "motivation," seldom create real and lasting changes. Rob spent 14 years developing and improving PSYCH-K. His background in business and psychotherapy creates a results oriented approach to personal change. PSYCH-K was inspired by a variety of processes, some contemporary and some ancient. It deals with the part of the mind called the subconscious, which is capable of creating dramatic and lasting changes quickly and easily.